A Plus Coach delivers the very best transportation services in Waltham MA. Our modern and well-maintained Waltham Party Bus Rentals, Stretch Limousines, Town Cars, Charter Buses and Antique Wedding Cars are the very finest automobiles on the road. Our affordable Party Bus Rentals in Waltham are hands-down the best in the state. Whether you are hosting a wedding party, bachelor party, prom night or simply a night out on the town with friends, A Plus Coach’s has the most reasonable Massachusetts Party Bus prices that will blow our competition out of the water. Are you aiming to plan a large group outing or night out on the town with all of your closest friends? – Look no further! Allow A Plus Coach to roll out the red carpet for you and your friends and whisk you away in one of our SUV Limos or Mega Party Bus Rentals in Waltham. We have both 14 and 32 passenger party buses to accommodate any sized group of partygoers. A Plus Coach is the clear choice for luxury transportation in Waltham, MA. Have your chauffeur drive you anywhere you want to go! Chartering anywhere from 18 to 32 Passengers, Our King-sized Party Bus Rental is the hottest way to get to your destination and have fun doing it. Whether your group consists of one person or one hundred, we can meet your needs with our fleet of Limos and Party Buses in Waltham. Pair your party bus with one of our limousines or another vehicle of your choice to transport any size gathering to your party destinations. A Plus Coach is the clear frontrunner when it comes to deciding upon the best Party Bus Rental in Waltham. 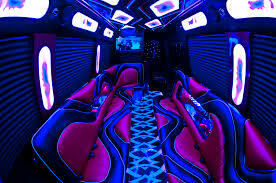 Our 14 and 32 passenger ultra luxurious Party Bus Rentals are the ultimate in festive ground transportation. Perfect for hosting large parties, big groups for live shows and sporting events, or even an infamous bachelor / bachelorette parties. Here are some events and situations we specialize in. A Plus Coach’s spectacular Party Bus Rental in Waltham is available at affordable prices. The last thing that you want to do when hosting a party is worry about a budget, but unfortunately it is a fact of life for most of us. A Plus Coach makes it easy for you to plan an amazing night out without emptying your wallet. We deliver affordable Waltham Party Bus Rental for all those that seek and elevated level of excellence at a bargain. A Plus Coach has two different size Waltham Party Bus Rentals to delight the taste of all of our guests. Features that are included in our luxury motor coach will leave your guests in awe. Planning a Bachelor or Bachelorette party? Attending a concert of a lifetime? 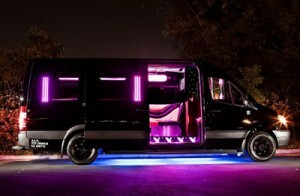 Treating your friends to a night out on the town in our roving dance club? Our 32 passenger Party Bus Rental in Waltham is fully equipped to cater to you and your party’s every need. We have the best Party Bus Prices in Massachusetts, hands-down! No matter the size of your party, A Plus Coach’s Affordable Waltham Car Service can handle it all. A Plus Coach specializes in a variety of events. We roll out the red carpet like none-other and take care of your every need. We are affordable as well. Here are just a few scenarios that you might consider when choosing to hire our affordable limo service in Waltham Massachusetts. Bachelor Parties and Bachelorette Parties – This is a night to cut-loose, if there ever was one. A Plus Coach offers the very best Waltham Bachelor Party & Wedding Transportation services to all those seeking a safe and spacious way to bar-hop with all of your friends. Why hassle with costly taxis and unreliable forms of transportation? There is no need. For a reasonable price we will pick up your whole gang and show you a night to remember. Wedding Parties and Weddings – Now that you’ve calmed your jitters with a night out on the town with all of your closest guy and gal pals, it’s time for the main event. We have the best Wedding Transportation Services in Massachusetts. Treat yourself and your guests to professional luxury car service for the big day. You will thank us later. We have antique wedding cars for the marrying couple, plus we have every vehicle imaginable to ensure your wedding party is well taken care of too. Begin the next chapter of your life the right way – in style. Click here to read more about our Antique Wedding Cars. Available 24 hours a day, 7 days a week. We have many vehicles to choose from. Our fleet consists of Lincoln Town Car Sedans, six, eight, and ten passenger Lincoln Town Car limousines, 14, 18, and 22 Passenger Ford Excursion SUV’s, and also 22, 26, and 32 passenger Party Buses in Massachusetts to accommodate your needs , your night is sure to be a fun and exciting event. All vehicles come standard with leather interior, deluxe stereo, color TV and VCR, tinted windows, full bar services with ice chest, champagne cooler, decanters, champagne flutes and rock glasses. If your plans include adult beverages, this is the surest way to travel in style. Call 877-768-1700 to book one of A Plus Coach’s Waltham Party Buses today!